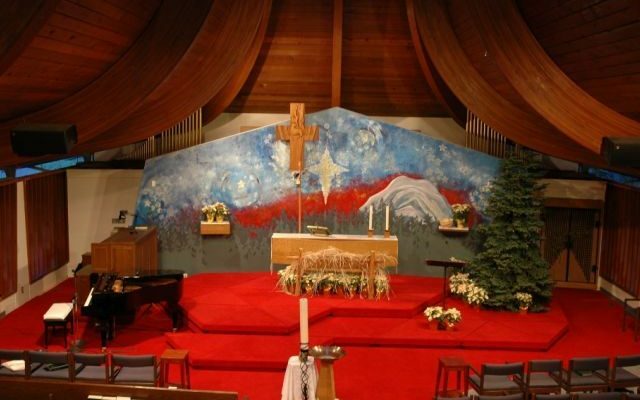 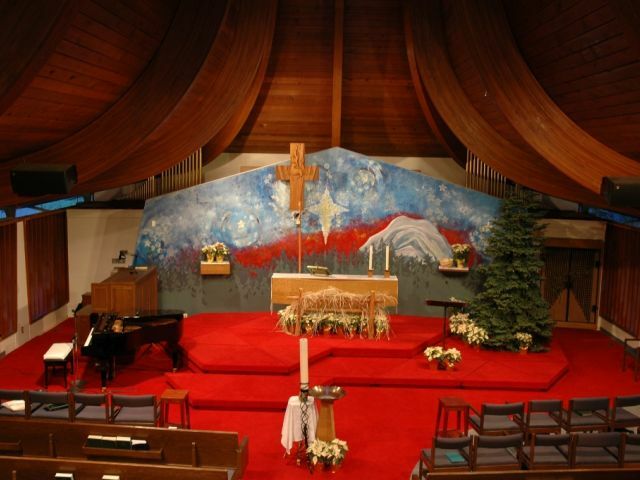 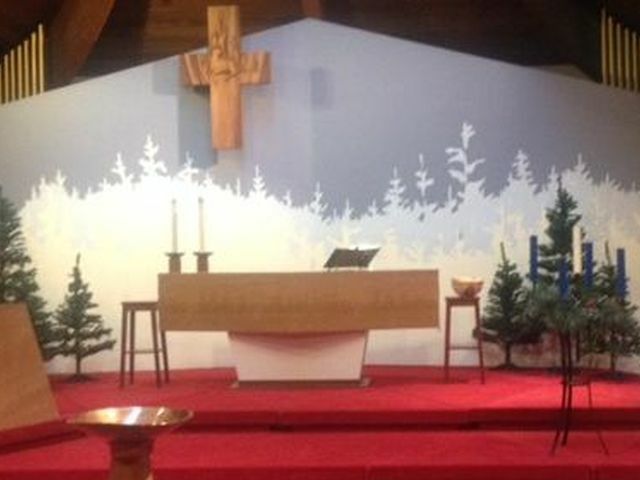 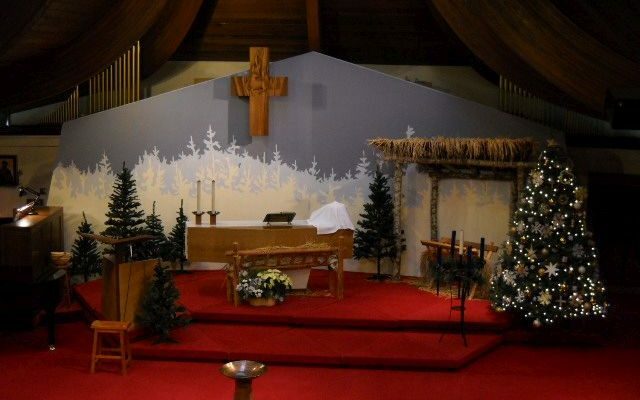 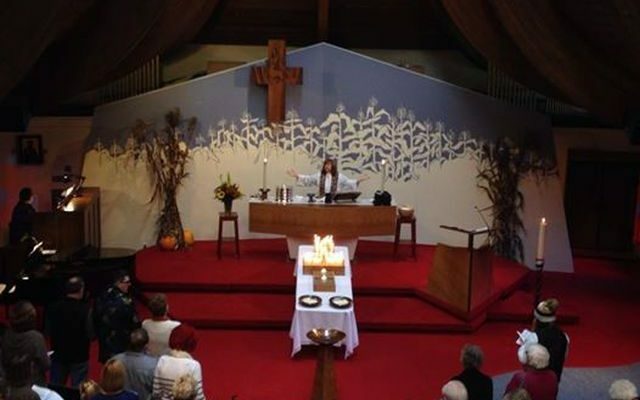 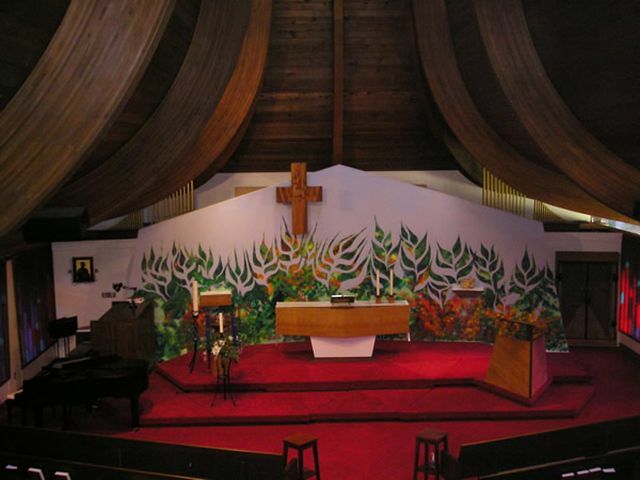 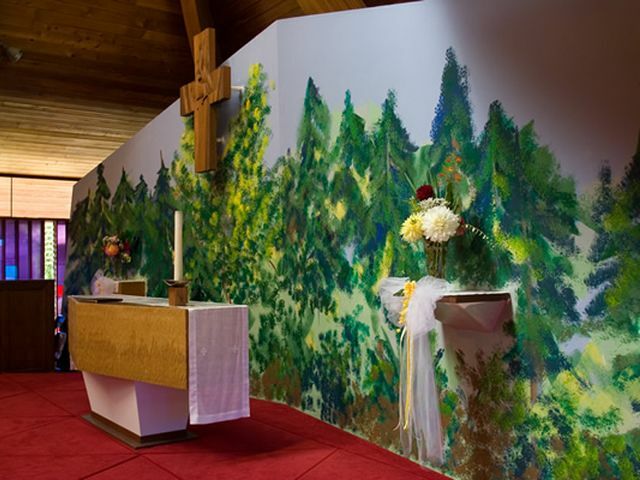 St. Mark Lutheran Church is unique in that the wall behind the altar serves as a huge canvas for artistic creations. 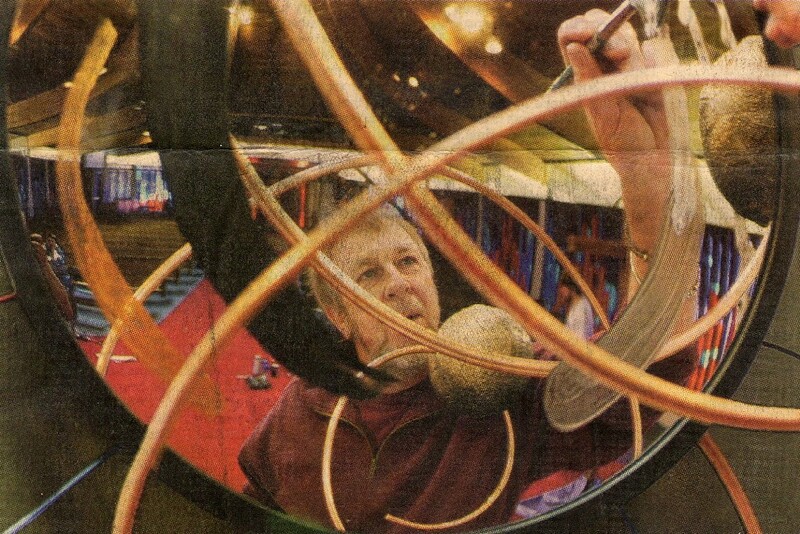 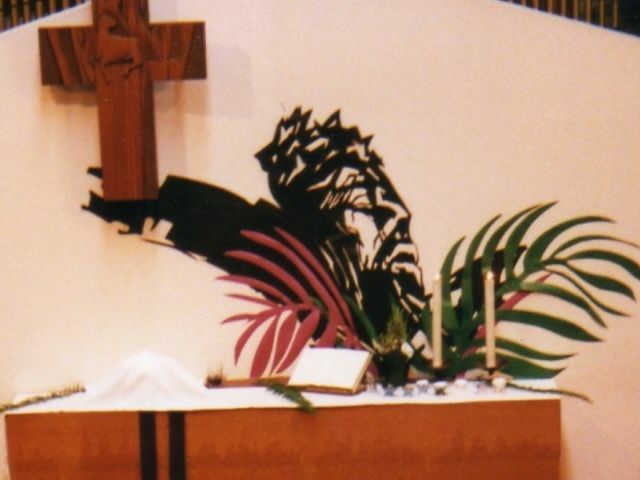 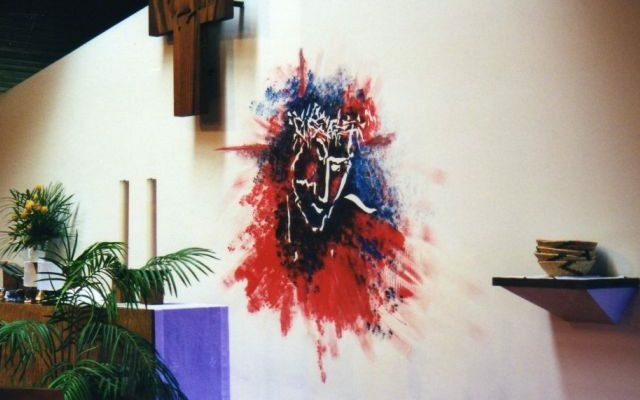 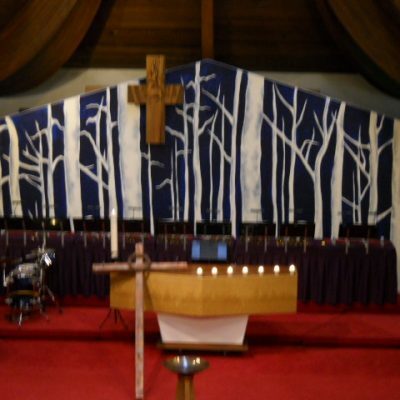 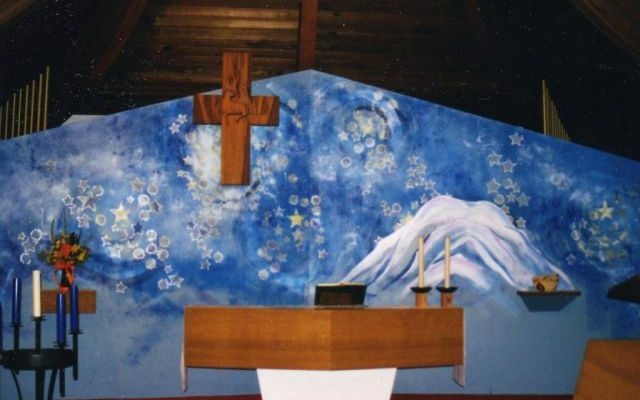 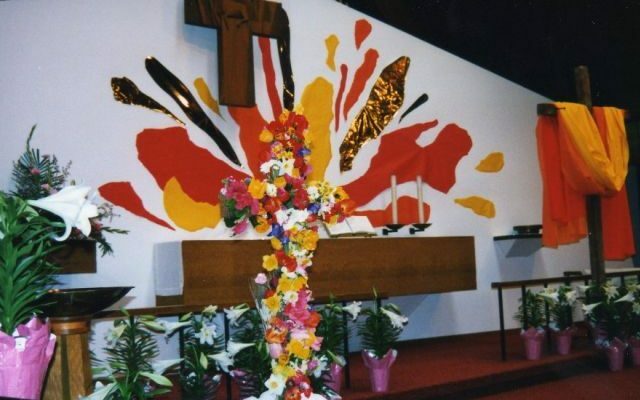 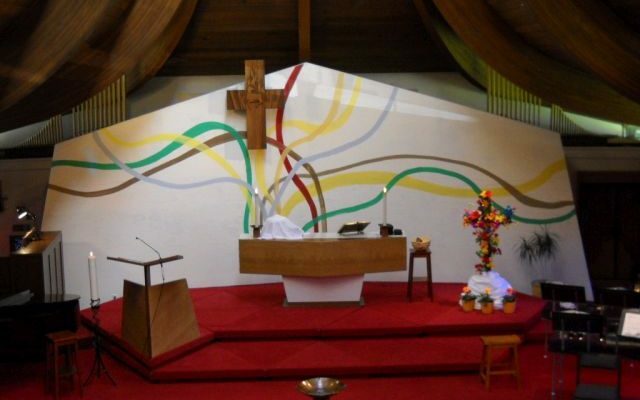 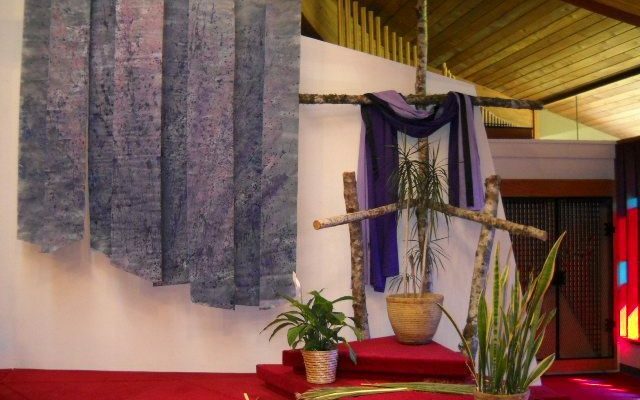 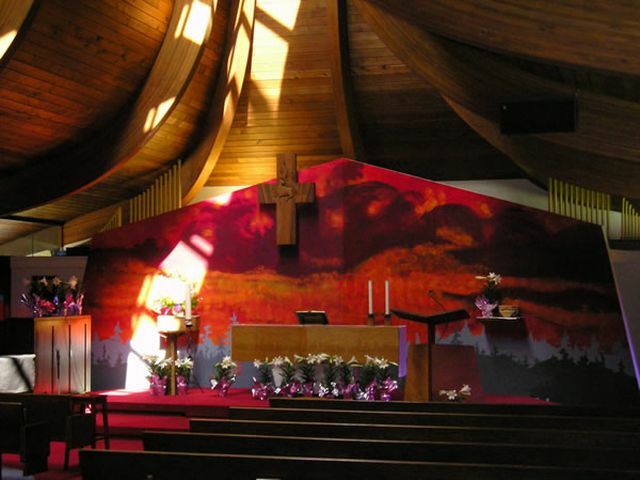 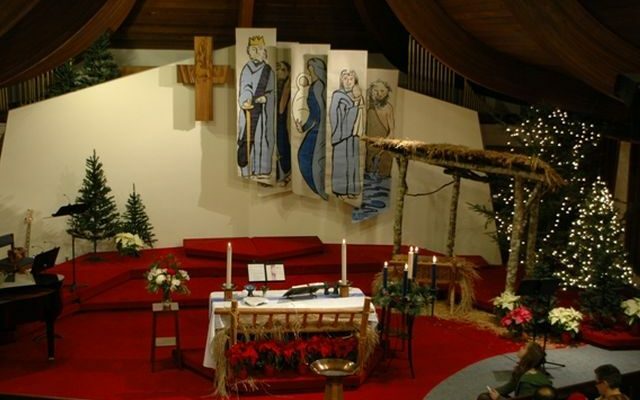 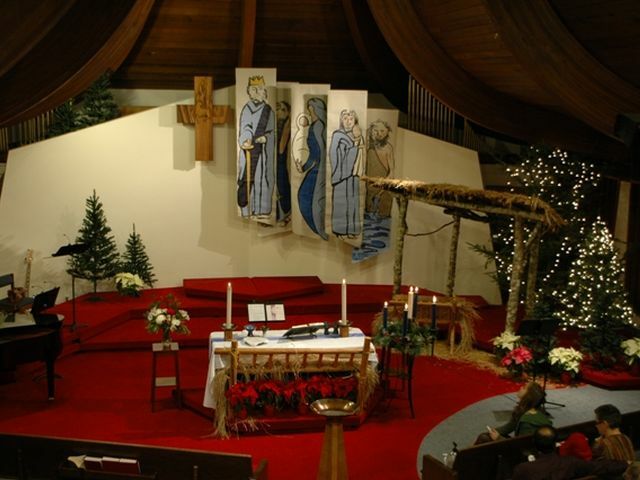 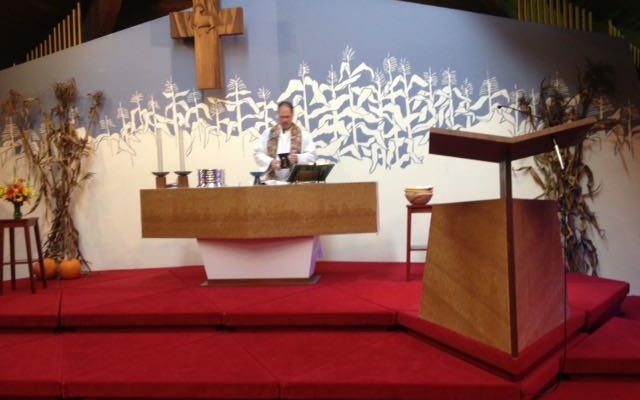 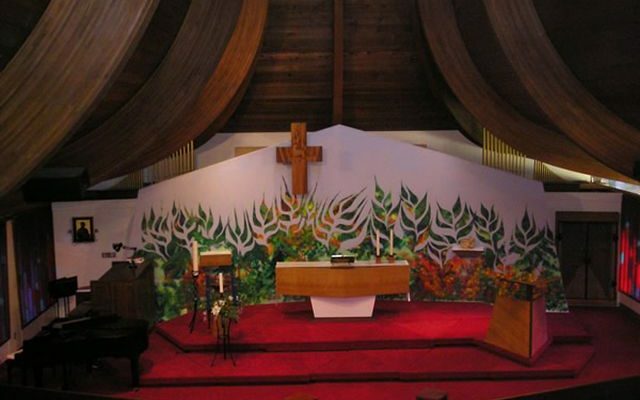 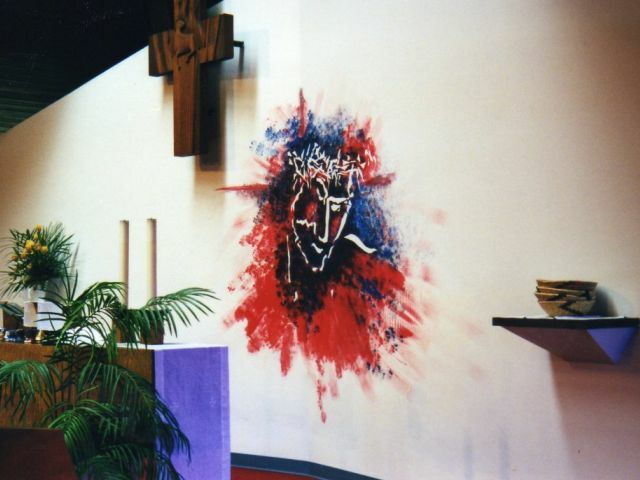 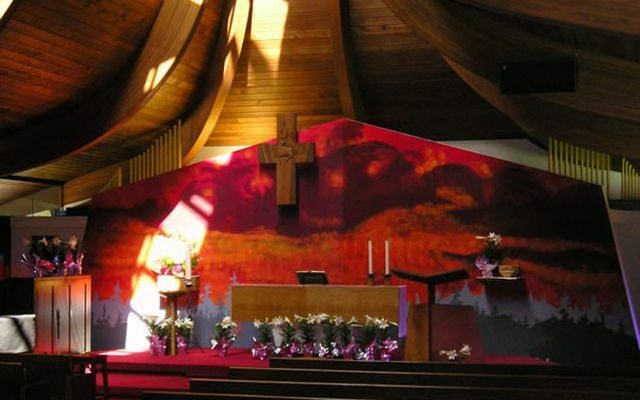 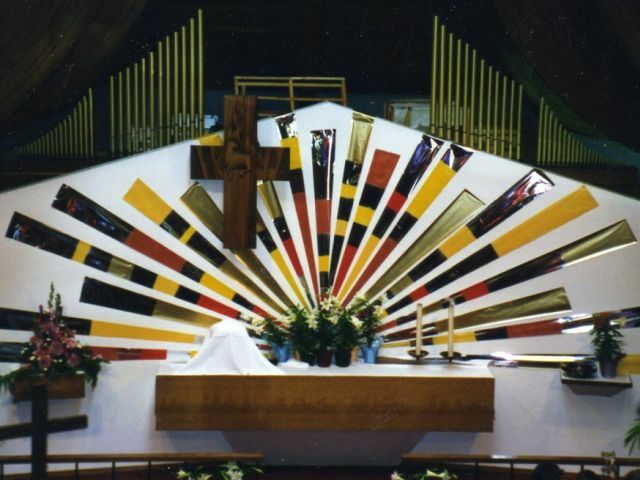 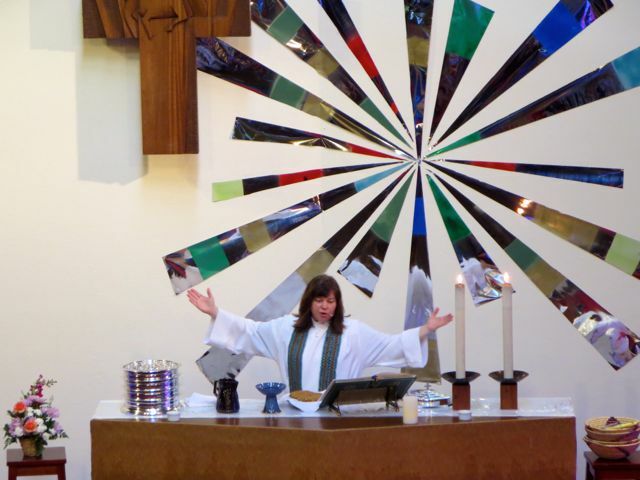 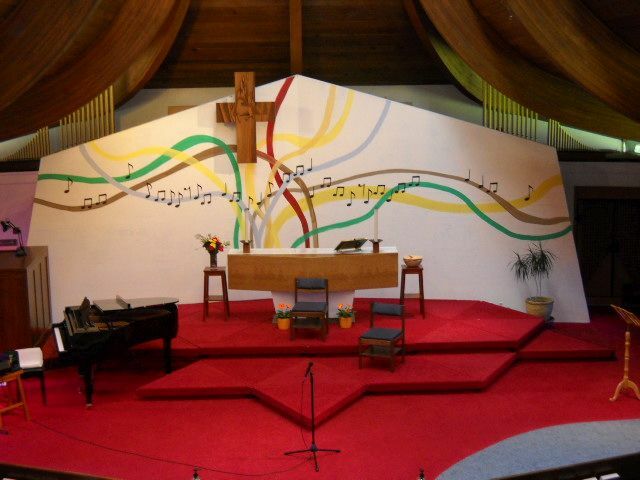 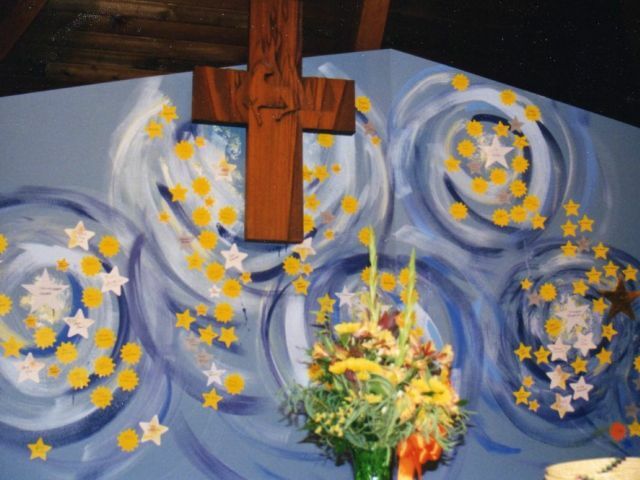 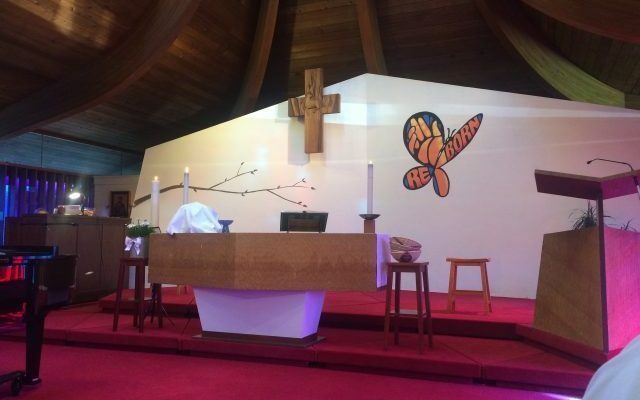 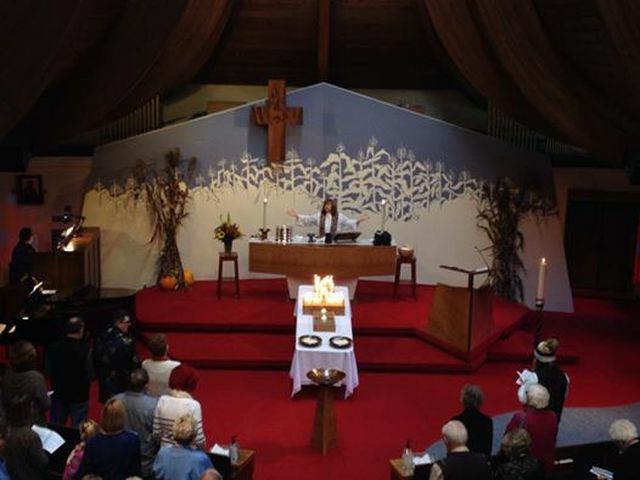 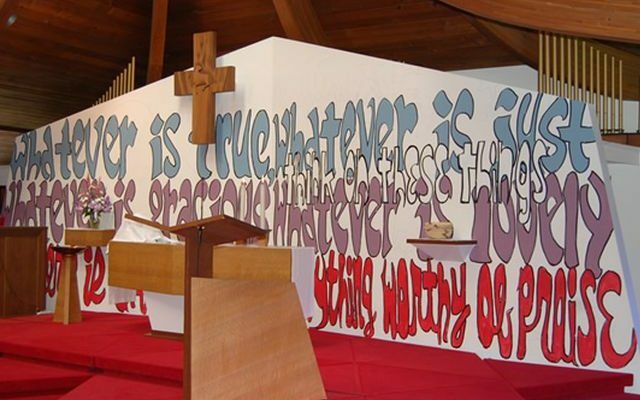 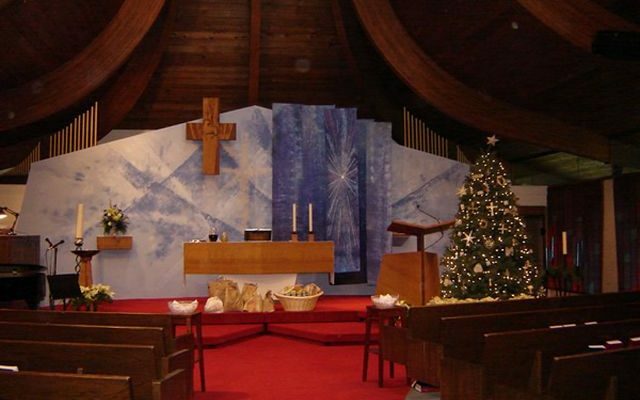 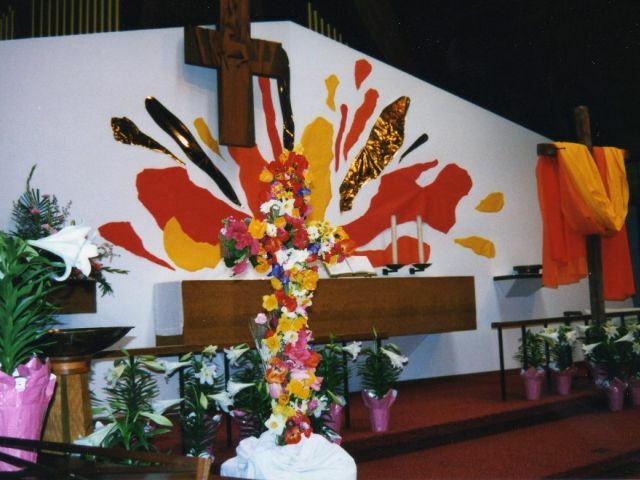 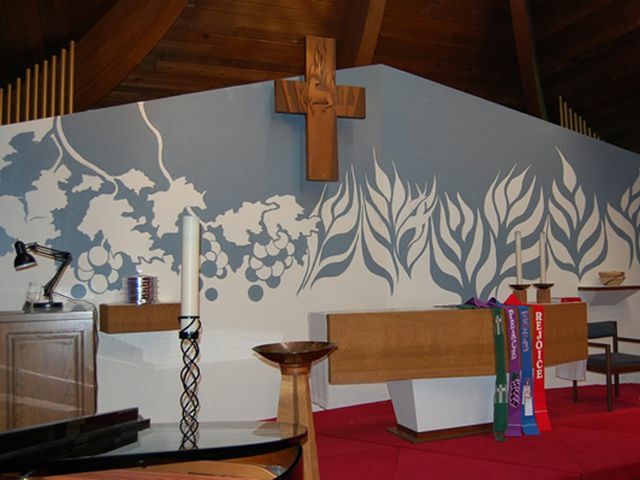 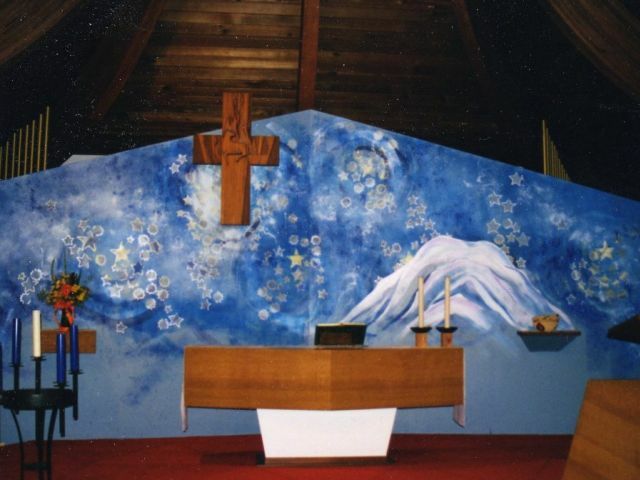 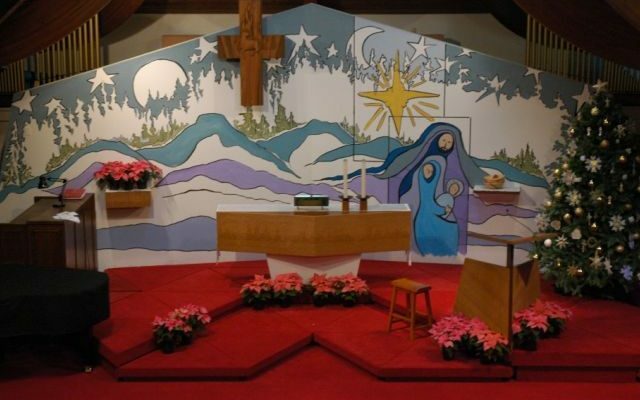 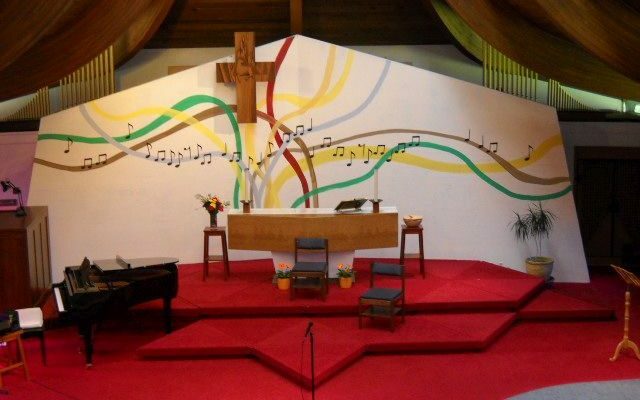 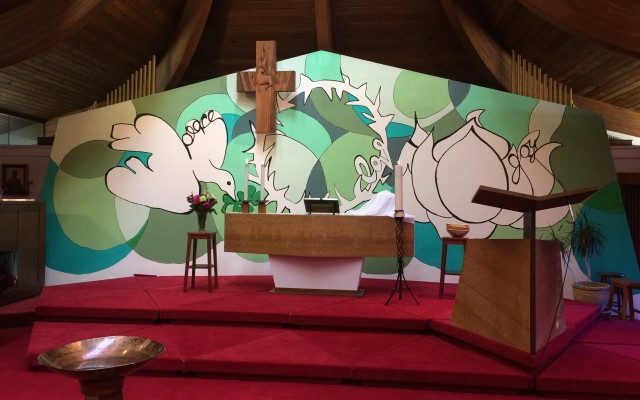 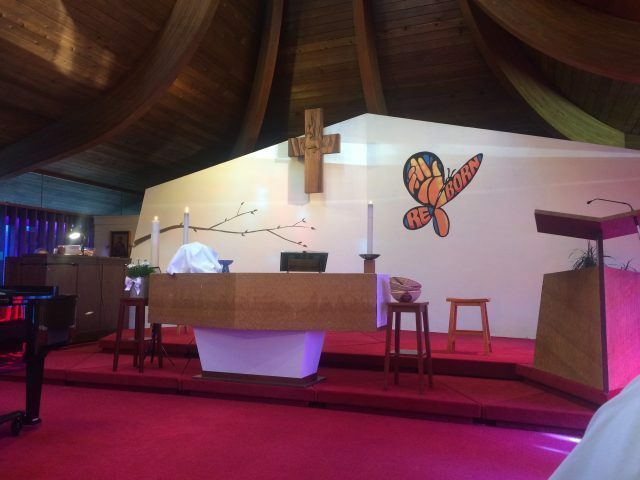 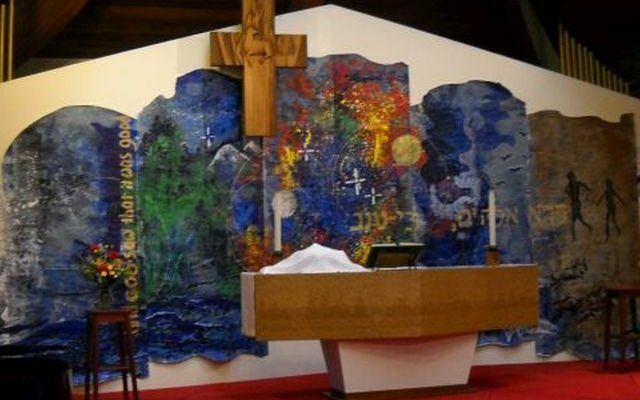 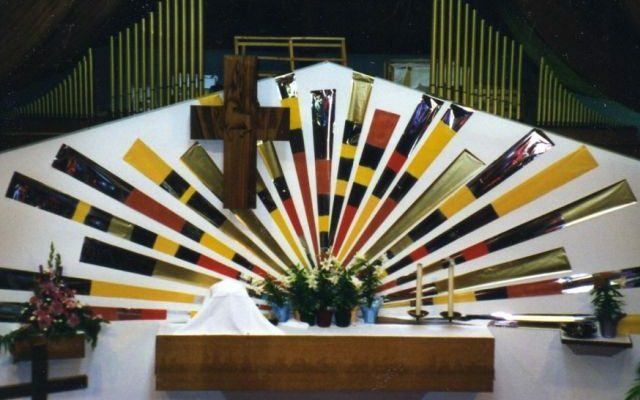 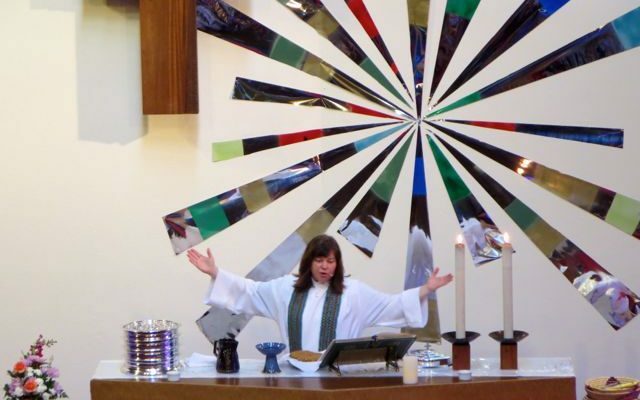 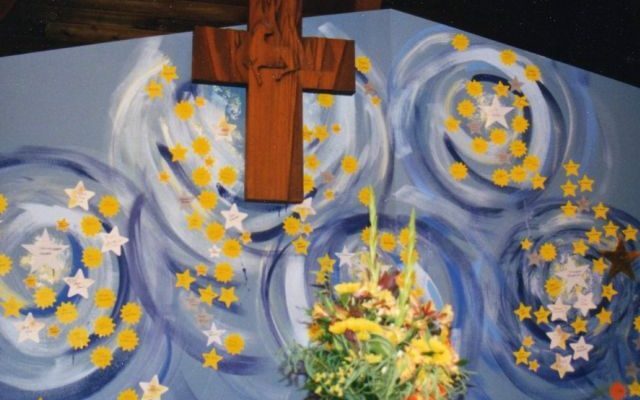 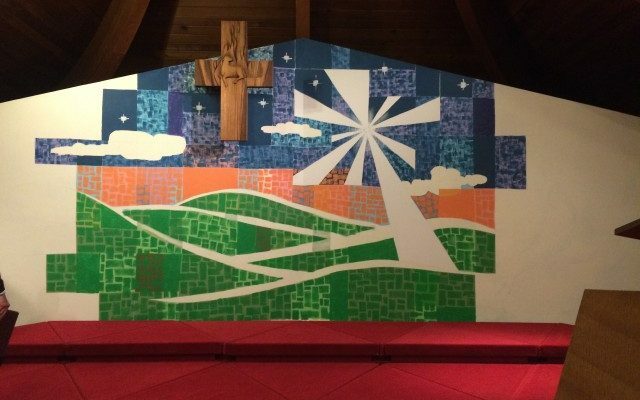 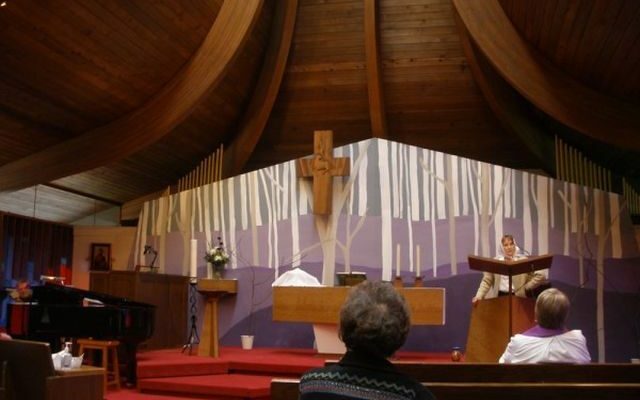 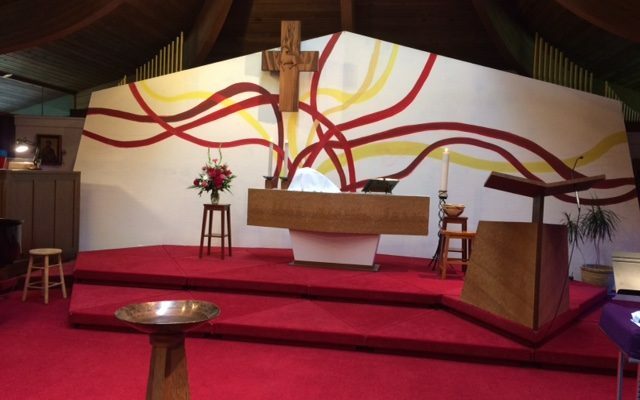 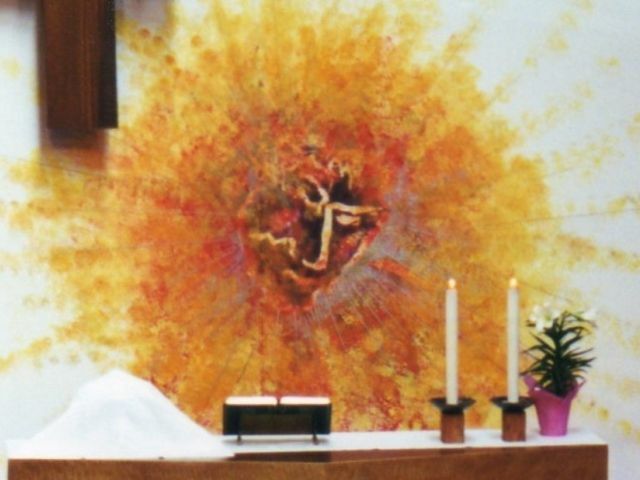 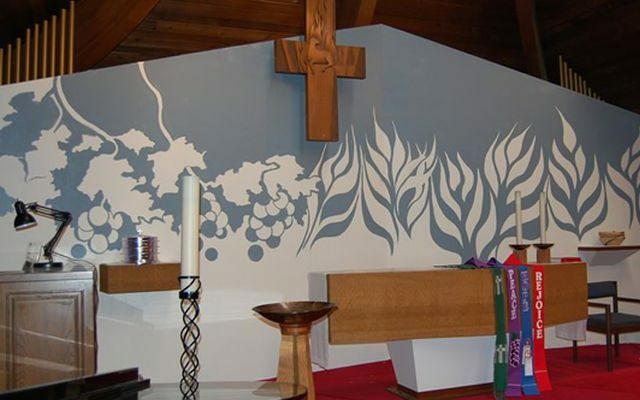 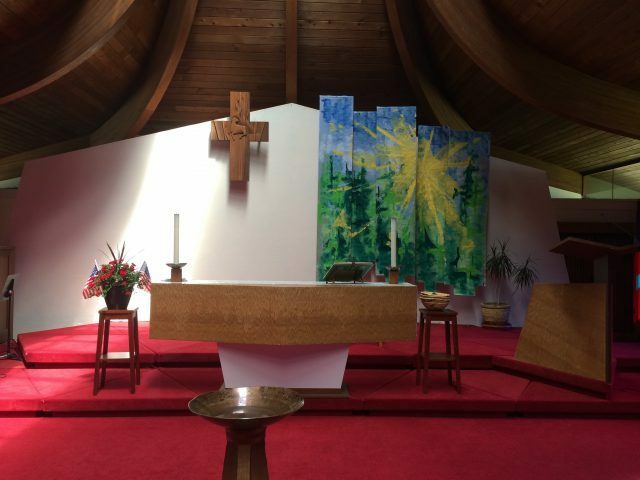 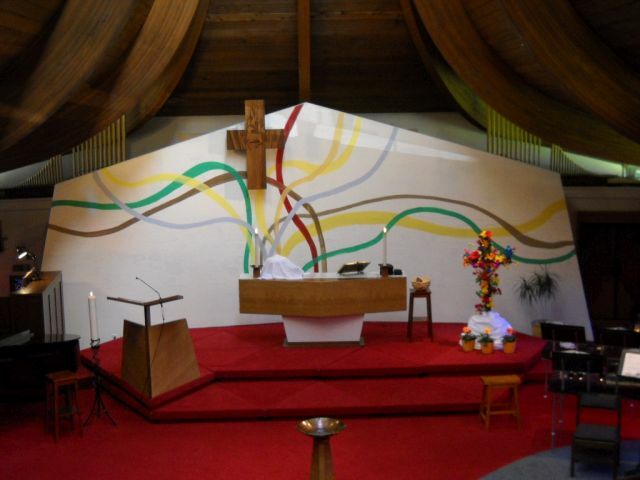 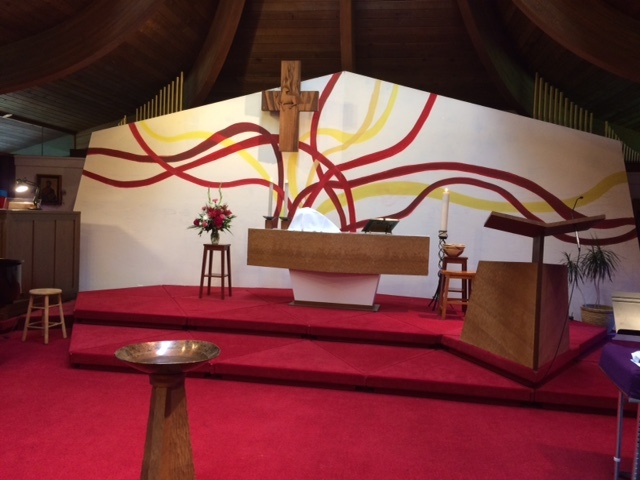 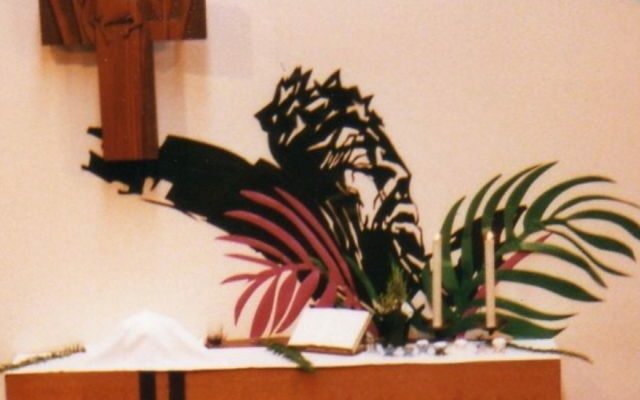 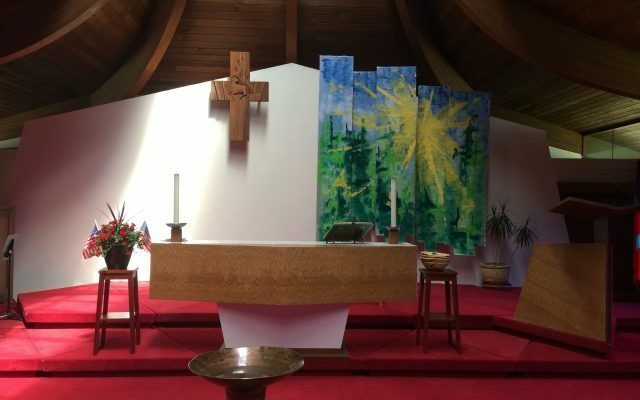 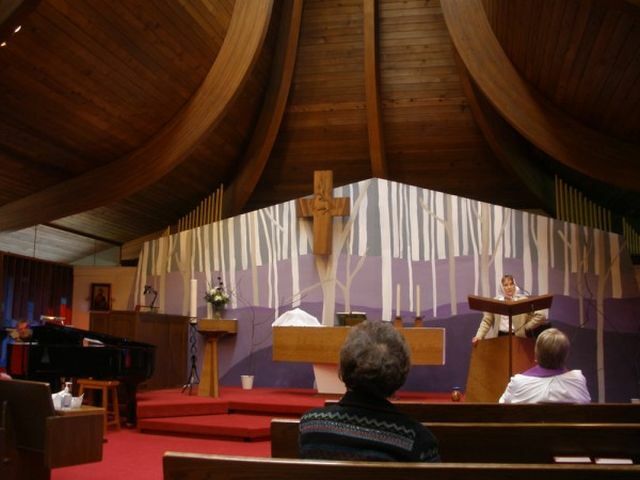 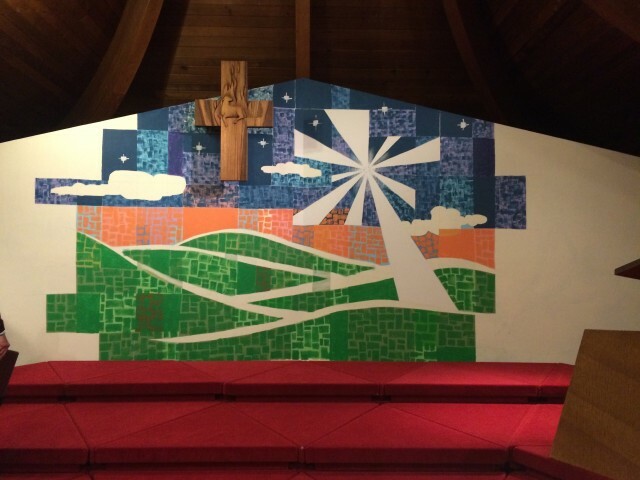 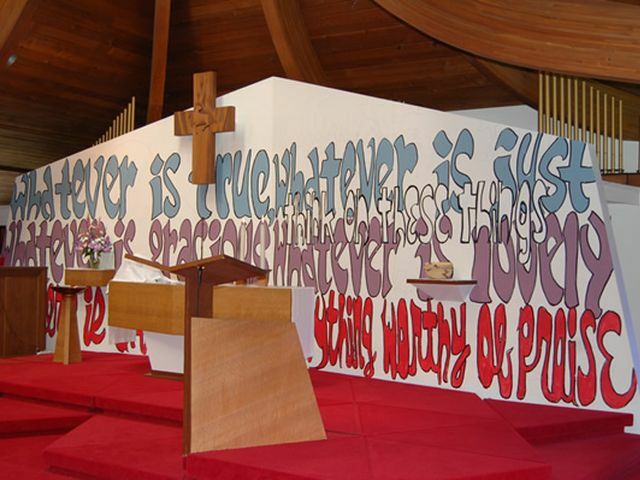 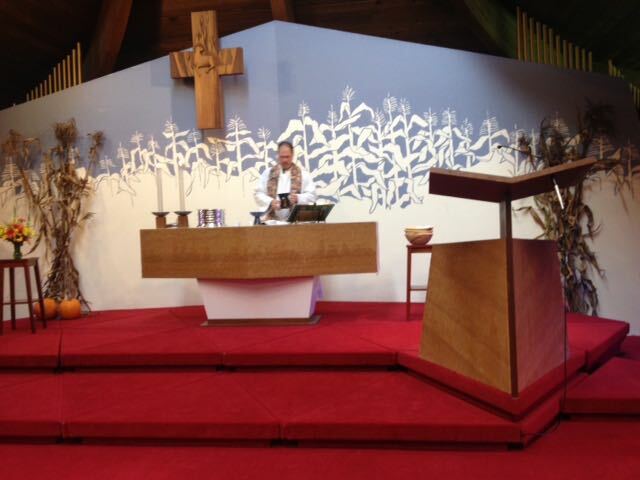 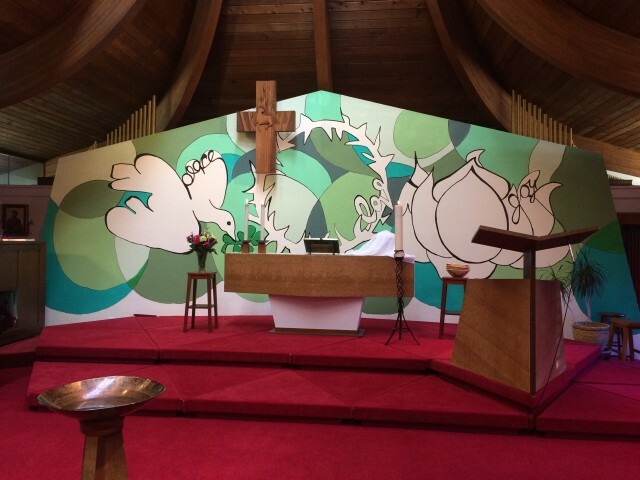 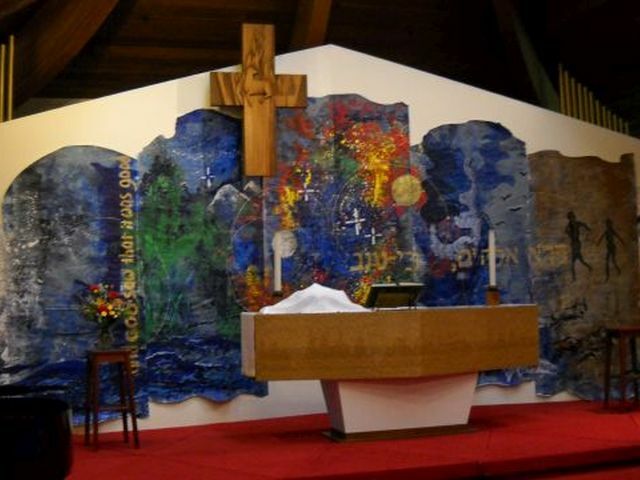 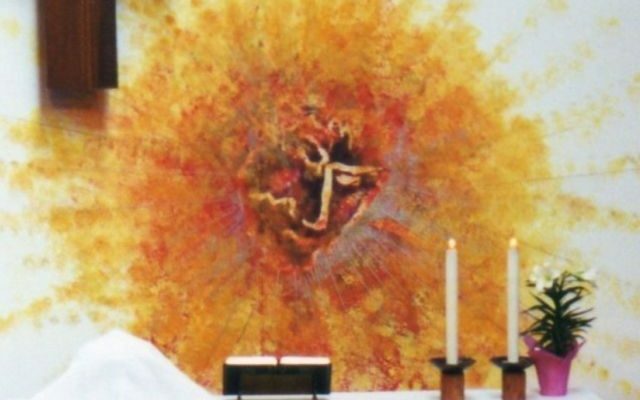 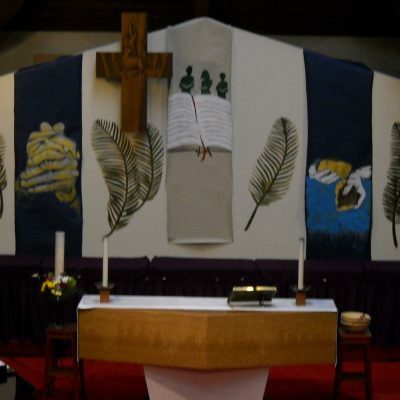 St. Mark’s retired Pastor, David Nelson (1996 – 2006) and several other artistically inclined congregation members exhibit their artistry on the wall behind the altar. 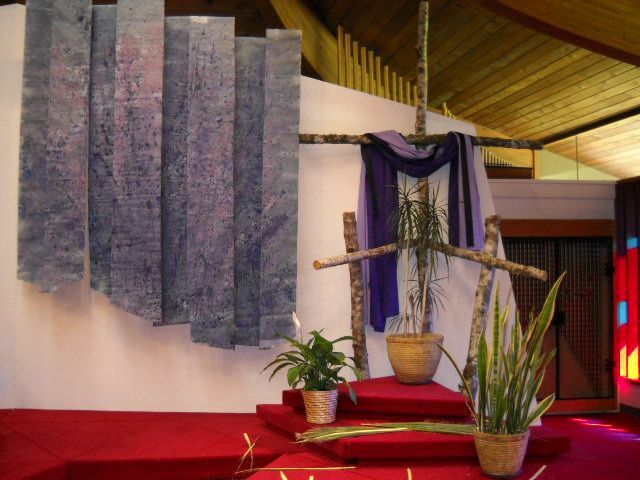 Every Advent season and every Lenten season, a picture unfolds. 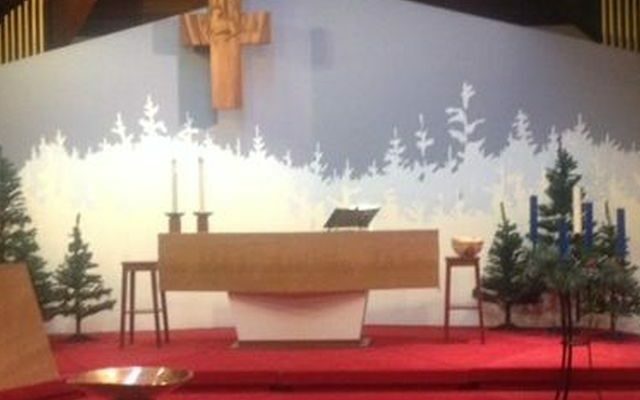 Each week something is added until the culmination of Christmas and Easter. 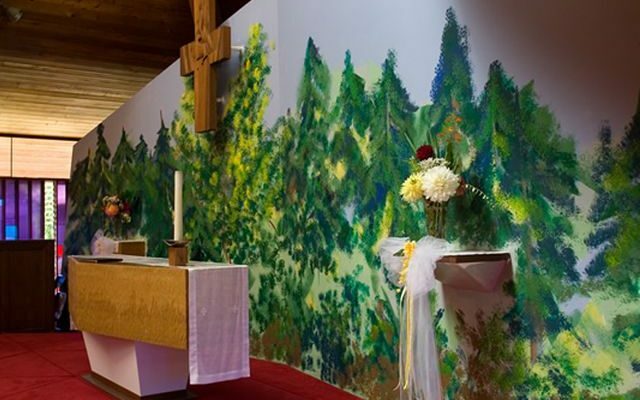 Over the years, the wall has been transformed again and again into a beautiful work of art. 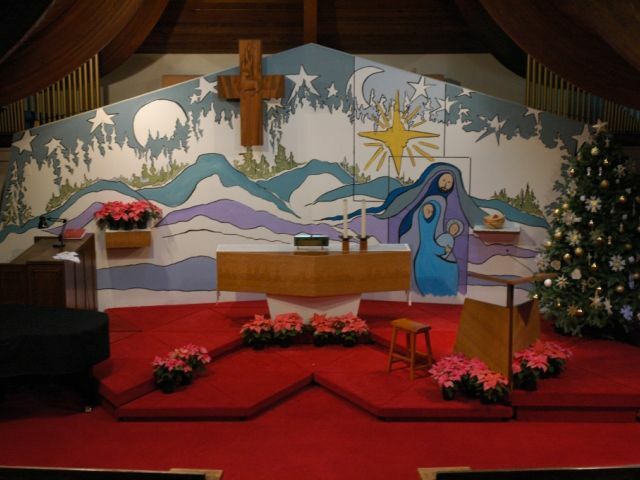 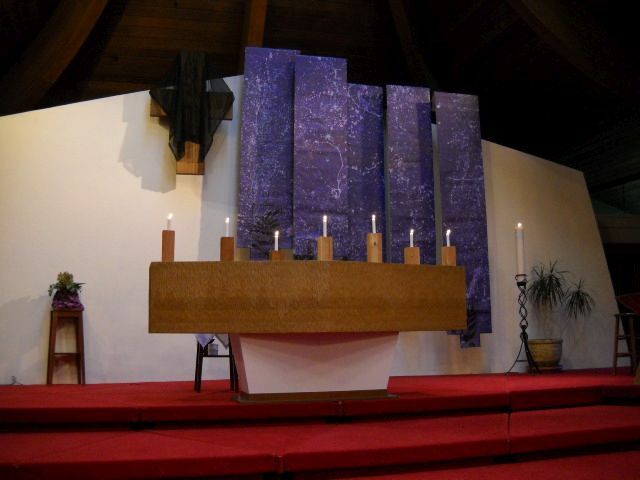 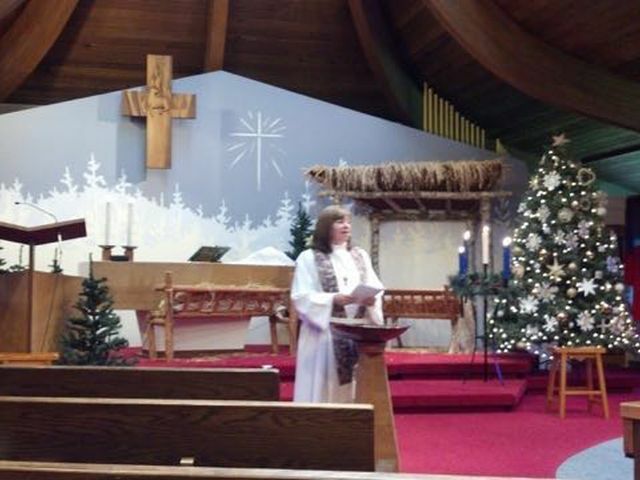 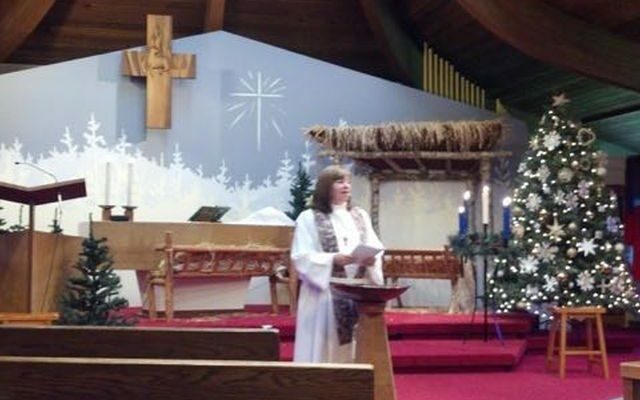 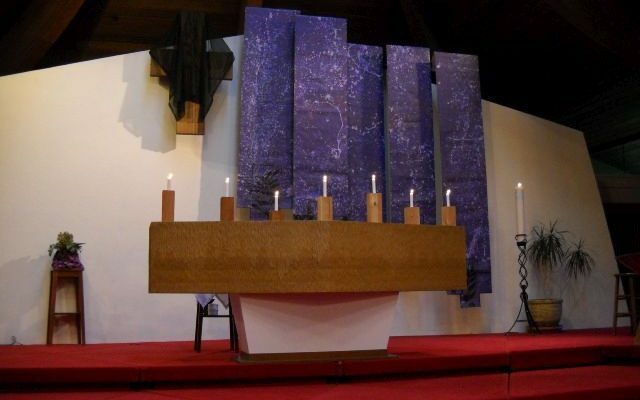 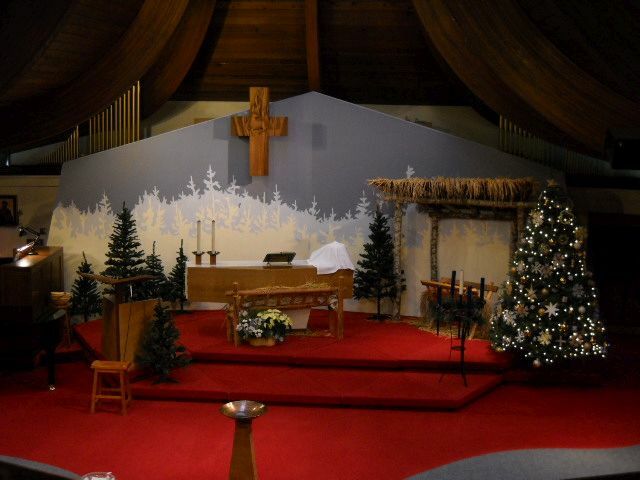 Advent at St. Mark – Come Join Us!